I’ve been attempting to eat better and this is one recipe that I keep coming back to. I lost the original source of it so I’ll write it out for you guys here but I’ve changed it around after making it a couple of times. It’s pretty simple to make and you don’t need many ingredients! 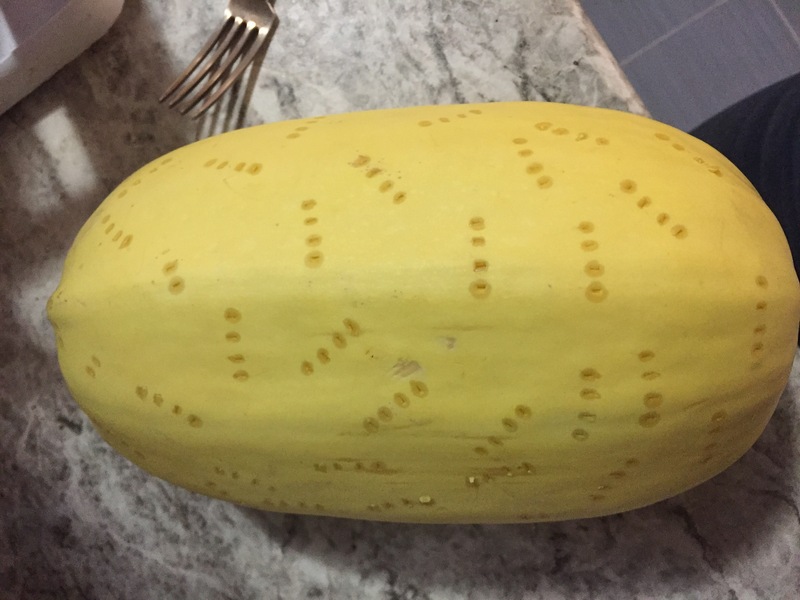 First thing you have to do is stab your spaghetti squash with a fork a bunch of times on one side. Microwave it for 5 minutes and then cut it in half length wise. It will be super hot!! This helps soften it a little to make it easier to cut. Next you scoop the seeds out and rub both sides with the oil, salt, and pepper. Place it face down (Peel facing up) on a cookie sheet. Cook at 400 for 35-40 minutes. You’ll know it’s ready when it’s easy to poke with a knife. Here they are ready to be shredded! 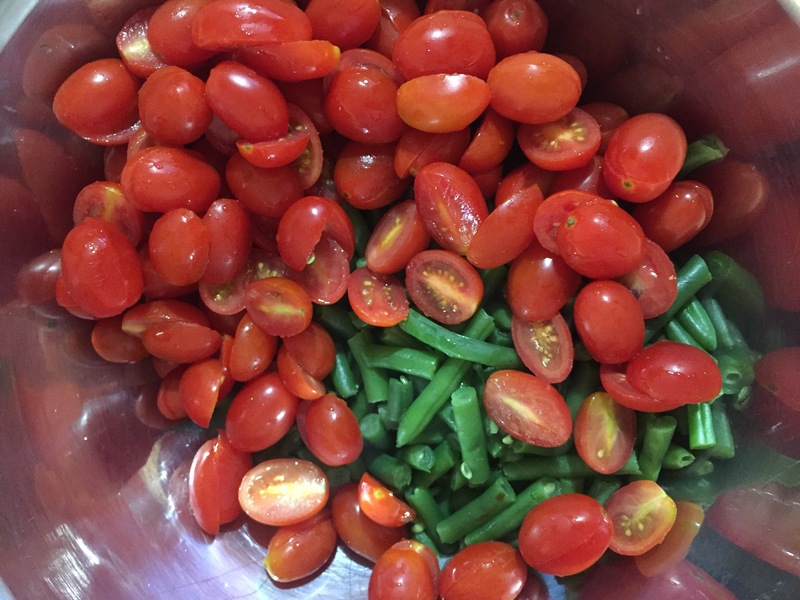 While that’s cooking you slice your tomatoes in half and boil your green beans. The beans are up to you, I like to keep them just a little crunchy. Cook the chicken with a little oil in a frying pan, cook thoroughly and then drain it! 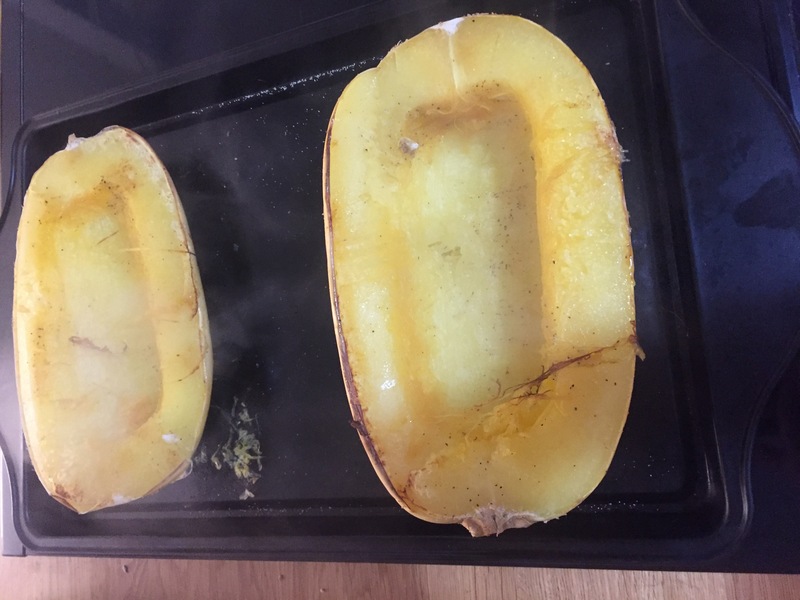 Once your squash is cooked, shred it with two forks. You can get right down to the skin. Mix it all up in a big bowl with the pesto basil. This makes about 6-8 servings depending on if you make sides with it. It’s very good with a spinach salad as a side! 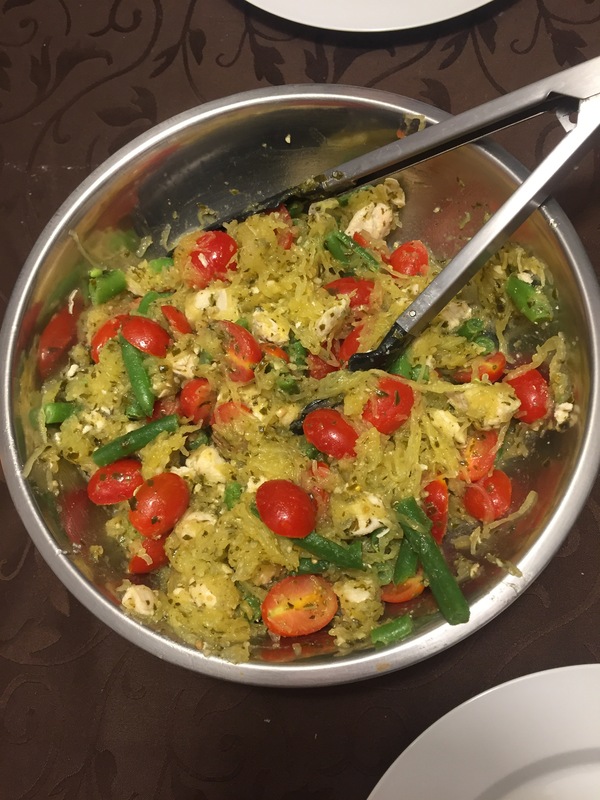 Any spaghetti squash recipes you guys recommend? Let me know!